​Boost Brainpower - Neurolert Nootropic Stack Supplement – FREE SHIPPING! Neurolert is a new advanced nootropic (cognitive enhancer) that uses a patented nootropic plant extract (Lupinus Albus:- patent number AU2016100086) in combination with 2 other natural substances university and clinically proven to increase your brainpower and mental capacity. The formula contains 3 powerful actives that work synergistically together to give results far superior than when they are taken on their own. And the ratio of these substances is designed to maximise the synergistic effects. What’s so good about Neurolert? And then if that wasn’t enough, Lupinus albus has been added to the stack to boost mental performance to the next level. The Lupinus extract works so well it has been patented (Australian patent number AU2016100086). The innovation utilises the active compounds present in Lupinus spp (Quinolizadine alkaloids) as an ergogenic aid for athletes to increase vigilant concentration and alertness. There are other supplements on the market that contain l-theanine and caffeine, but none come even close to matching the potency and effectiveness of Neurolert with its patented Lupin extract. Taking Neurolert will benefit you by improving memory, improving multi-tasking ability, increasing cognitive focus and clarity, and boosting energy, productivity, and creativity. These aren’t wishy washy promises, these are scientific facts, and are borne out in real world benefits. But don’t take our word for it, try it for yourself. We think you will be amazed at how good it really is. 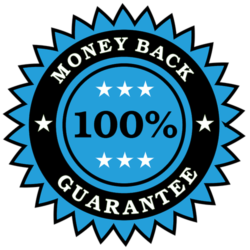 And we offer a 100% satisfaction money back guarantee to prove it. YOU CAN ORDER YOUR SUPPLY OF NEUROLERT HERE. Neurolert comes in a 40 blister pack, and is very cost effective. One capsule is all you need for sustained energy, concentration, and alertness over an 8 hour period.